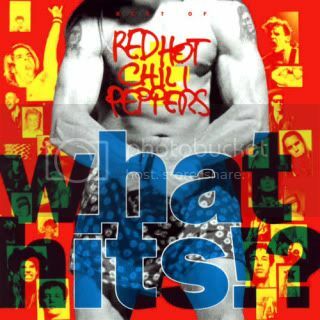 Song of the Day: If You Have To Ask by the Red Hot Chili Peppers...I woke up this morning with this tune in my head...know the song? It's a funky little freak of a wonderful song...hehe. **Interesting line..."Thinkin' of a few...Taboos that I ought to kill." Currently Reading: It's About Time by Erin McCarthy from the Bad Boys of Summer Anthology. 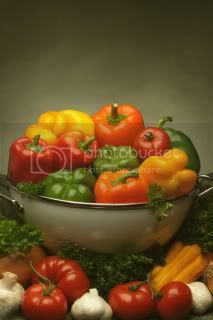 Yummy Food Find: Fresh red and yellow bell peppers on my salad. Yes, technically, I'm old enough to have had them before now, but I'm finding that things I didn't previously care for are really appealing to me. :) Darling Diva doesn't buy it, yet. But I keep trying. But I wish I had a greenhouse full of colorful fruits and veggies to eat, all grown en naturelle...however you spell that. Oh tell me about it - a greenhouse of fruits and veggies would be wonderful!